In the last year Bitcoin gained attention in the mainstream media due to different reasons. One of the situations that improved that performance was the fast and exponential price increase that it experienced in 2017. But since the beginning of the year, Bitcoin and the general cryptocurrency market is in a bear market. That situation has reduced people’s interest in the famous cryptocurrency. Indeed, Google Tends show that bitcoin interest has reached the same levels it had in August 2017. At the same time, the price of Bitcoin behaves in a very similar way. When the interest grows, the price surges, once it drops, the price follows behind. But there is one exception, South Africa. 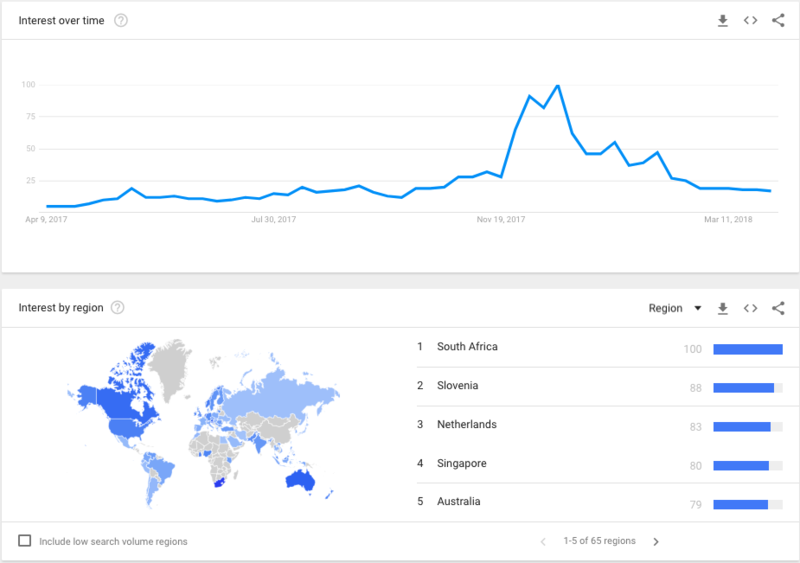 Bitcoin interest in South Africa is the highest in the world, according to google trends. And this is related to the vibrant bitcoin community that exists in the country. 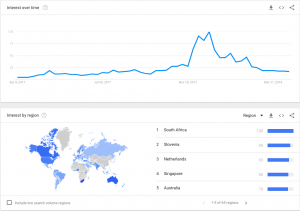 It is clear that we are in a bear market since the beginning of 2018, but it does not mean that South Africans are not interested in the most important cryptocurrency of all times. Slovenia, Netherlands, Singapore and Australia are the next countries on the list with 88, 83, 80, and 79 points each one, respectively. Countries that one would suppose to be in higher rankings like South Korea, rank fairly and score around 50 points. As we have reported several times at BitcoinHub, the interest for cryptocurrencies is growing. Institutions and people are more aware that there is an important cryptocurrency market revolutionizing the way in which we conceived the financial world. To show this increased interest in cryptocurrencies, Johannesburg was the host city to one of the most important blockchain events in the continent: The Blockchain Africa Conference. This is a meeting that is organized every year since 2015 in the South African country. At the same time, there are several enterprises that are working in the blockchain and cryptocurrency field. Blockchain could certainly change the way in which Africans live, and South Africa is a hub of innovation in the subject. “Bitcoin Events is the proud organizer of the blockchain conferences – the first of its kind in Africa, as well as the largest focusing on blockchain technology,” reads the description of the Blockchain Africa Conference. Moreover, the South African central bank is also trying to regulate the environment but without killing or scaring investment initiatives. The intention is to protect consumers, investors, and enterprises, and at the same time, avoid the use of virtual currencies for illegal activities. 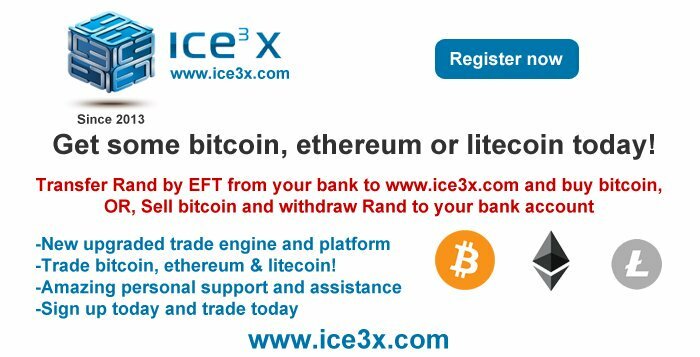 The interest for cryptocurrencies and Bitcoin in South Africa remains high. 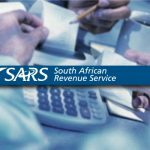 There is not only one main interest (profit), there are many other uses that South Africans see in this growing technology. 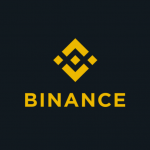 PREVIOUS Previous post: Guides: How to Buy Cryptocurrencies On Binance Cryptocurrency Exchange?